VisArt Medical Center has all the necessary equipment for correcting refractive anomalies. Our team of highly qualified ophthalmologists and professional opticians work in constant collaboration to do the best for you. Our ophthalmologists will give you a full explanation of your vision problem and make the best correction for your eyes. On the other hand, our optics will give you invaluable information about the benefits and disadvantages of eyeglass correction glasses and will direct you to the best for your eyes. 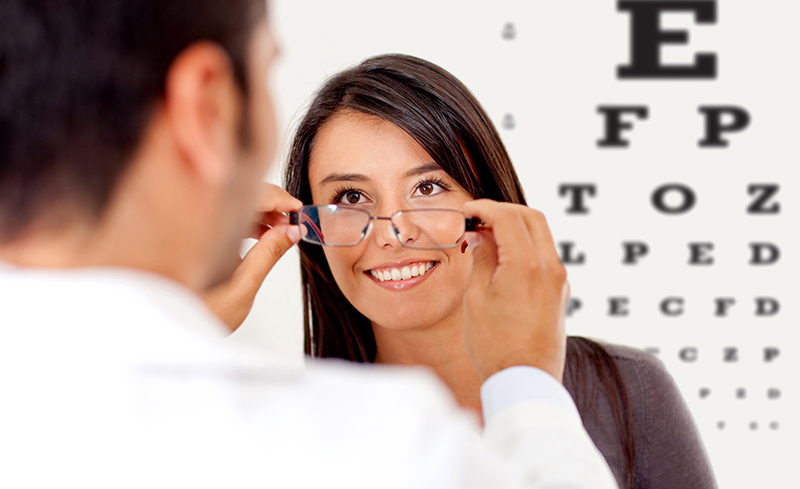 Many of you patients have no or little idea of ​​the possibilities of modern optics and correction through glasses. Now your eyesight can be adjusted at any distance without the eyes blurring. You may even adjust the distances you need to work / drive, etc. /. Correction glasses have been created for virtually all professions that are precisely targeted and individualized in the direction of carrying out a certain activity and relieving your day. MC Extart and our Optical Center provide you with the opportunity to take advantage of all the latest trends in refraction anomaly correction and a full range of optical and optic services. Here you will find a rich portfolio of dioptric glasses and more than 1500 types of dioptric frames and sunglasses from leading Italian brands to affordable products produced in Eastern Europe and Asia. We have 2 salons for glasses, lenses and consumables and a laboratory for making your orders with precision engineering.